« Is it Real, or Just Politics? How one should invest based on circumstances gets far too little attention. 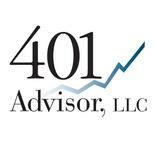 Whether investing periodically, like a payroll deducted 401k contribution; or the opposite, withdrawing payments on a regular basis to fund retirement or a college education; or if investing a single lump sum say from an inheritance or sale of a property or business; all require very different strategies. Ellen Chang, writing for U. S. News and World Report wrote on the subject with 5 very different recommendations from five different advisors. My recommendation? Look for dividend paying investments. I know, that’s shocking! But lump sum investing incurs a specific market risk. Invest at a cyclical market high and it could take years to realize a competitive rate of return. While dividend paying stocks aren’t impervious to market sell-offs, dividends and specifically stocks of companies that have and are likely to continue to increase their dividends can help cushion market blows. Bonus. While I personally would not recommend marijuana stocks for a significant lump sum, there is a nice section on them. Since I do get questions about the pot stocks, but don’t follow or recommend them, those that are interested may find an idea or two to look into.